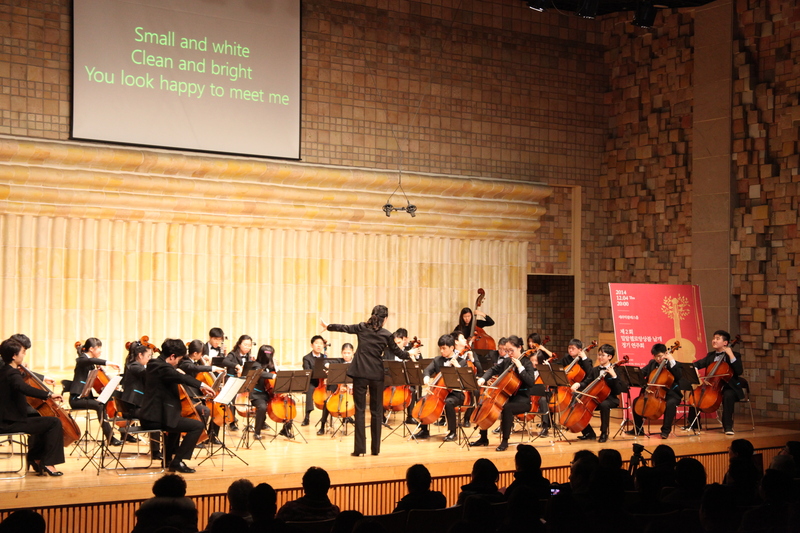 On 30 March 2017, Korean Re entered into a sponsorship agreement with the Miral Welfare Foundation and committed KRW 100 million to a cello ensemble named ‘Wing’. The Wing was created by the Foundation in 2011 with the aim of helping children and teenagers with developmental disabilities communicate with the world through music, as they could easily face isolation from society. This musical group consists of 27 autistic or intellectually handicapped students. During the past four years, these young musicians have given hope to many people through annual concerts and non-regular performances across the country, and received awards at several competitions including a grand prize from the Korea Music Concours for Disabled Students in 2016. They were even invited to the U.N. Headquarters to perform a rendition as well. Their activity, however, largely depended on corporate sponsorship that, unfortunately, ended late last year. With the fate of the Wing in the balance, they tried hard to raise funds on social networking sites to keep the ensemble alive, but individual donations were not enough to finance the activity. This sad news was caught by CEO Jong-Gyu Won of Korean Re. At his behest, the company reviewed the possibility of sponsorship and finally decided to become a new sponsor of the Wing. Under the sponsorship, the funds committed by the company will be used to pay for lessons and instrument repairs, and to organize concerts over a one-year period.